Operable by iPad, iPhone, or iPod, this tank has a built in mic that transmits sound back to your device in real time. The camera is manually adjustable, and can stream live "remote" video, and still photos. It comes with night vision -- undetectable infrared light which lets you see items in the dark. 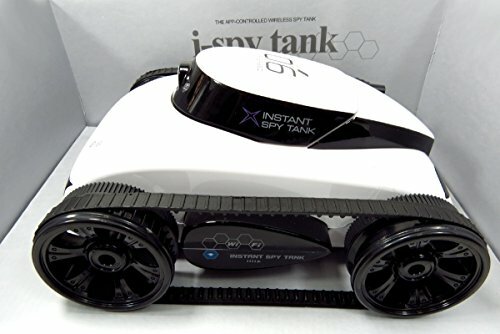 This super fun spy gadget is operable by iPad, iPhone, or iPod! Manually adjustable camera lets you live stream remote video and still photos! Wi-fi connection capable up to 200 ft. Get yours now!